Defining Characteristics: Inability to restore energy even after sleep; lack of energy or inability to maintain usual level of physical activity; increase in rest requirements; tired; inability to maintain usual routines; verbalization of an unremitting and overwhelming lack of energy; lethargic or listless; perceived need for additional energy to accomplish routine tasks; increase in physical complaints; compromised concentration; disinterest in surroundings, introspection; decreased performance; compromised libido; drowsy; feelings of guilt for not keeping up with responsibilities. Activity Intolerance Nanda Definition : Insufficient physiological or psychological energy to endure or complete required or desired daily activities. Congestive Heart Failure is a condition in which the heart's function as a pump is inadequate to meet the body's needs. diseases that increase oxygen demand by the body tissue beyond the capability of the heart to deliver adequate oxygen-rich blood. The symptoms of congestive heart failure vary, but can include fatigue, diminished exercise capacity, shortness of breath, and swelling. 1. Assess the patient's response to the activity, note pulse rate over 20 beats per minute above the resting frequency; significant increase in blood pressure during / after activity (systolic pressure increased by 40 mmHg or diastolic blood pressure increased by 20 mmHg), dyspnea or chest pain; fatigue and weakness redundant; diaphoresis; dizziness or fainting. 3. Encourage activity / self-care gradually if tolerated, provide assistance as needed. 1. Mention parameter helps in assessing the response to stress physiology and activity, when there is an indicator of excess work-related activity levels. 3. Progress activity increased gradually to prevent sudden cardiac work. Gave the aid was limited to the need for encouraging independence in their daily activities. Fatigue also referred exhaustion, tiredness, lethargy, languidness, languor, lassitude, and listlessness describes a physical and/or mental state of being tired and weak. Unlike weakness, fatigue can be alleviated by periods of rest. Fatigue can have physical or mental causes. Physical fatigue is the transient inability of a muscle to maintain optimal physical performance, and is made more severe by intense physical exercise. Mental fatigue is a transient decrease in maximal cognitive performance resulting from prolonged periods of cognitive activity. It can manifest as somnolence, lethargy, or directed attention fatigue. If you have problems with the heart, such as coronary artery disease or heart failure, the ability of the heart to supply oxygen-rich blood to the heart muscle and the rest of the body will be impaired. This may result in poor exercise tolerance and fatigue. A sudden change in your exercise tolerance can be an early sign of heart problems such as coronary artery disease. Approximately one third of patients with underlying heart disease have no signs or symptoms (such as chest pain or myocardial infarction). The first sign of any underlying problem in this one third is sudden death. Therefore, it is imperative that you seek further evaluation if you are noticing increased fatigue that is not easily explained. A decrease in the amount of oxygen-carrying substance (hemoglobin) found in red blood cells (anemia). This may occur from blood loss related to intestinal bleeding, menstruation, and trauma. Chronic blood loss can result in iron deficiency which is required for the body to maintain appropriate hemoglobin levels required to carry oxygen. Nutritional deficiencies such as Vitamin B12 and folate can also result in anemia. Patients with kidney disease and liver disease have impaired ability to eliminate the waste products of the body. If the level of these chemicals get too high the patient will begin to experience weakness and fatigue. Patients with metabolic disorders, such as diabetes, have impaired ability to utilize sugar (glucose) which is required to form energy for the body and organs. Abnormalities of the thryoid gland may result in fatigue. It is important to determine if your thyroid gland is performing appropriately. If your gland is underactive you will require thyroid medication to restore your bodies normal levels. This will improve your energy and help with fatigue. 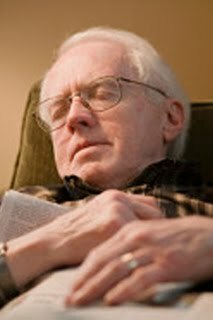 Fatigue may be related to an overactive or high thyroid level (hyperthyroidism). An overactive thyroid requires further evaluation. You may require radioactive ablation to destroy the overactive thyroid tissue. Other options include medication to control the symptoms caused by an overactive thyroid or medication to block the effects of the excess thyroid hormone in your body. Mental health problems can result in fatigue. Patients suffering from anxiety and depression will frequently complain of fatigue. This is an important consideration if no medical explanation for fatigue can be found. Anxiety and depression can also develop in someone with other chronic health problems, so it is important that a thorough evaluation be performed by your health care provider. Chronic fatigue syndrome is an uncommon cause of severe, persistent fatigue. It is commonly associated with a previous viral infection such as epstein barr virus.